The shaded path to the entrance of Alfabia is flanked with grand sycamores, and suggests to a visitor what is about to be revealed. 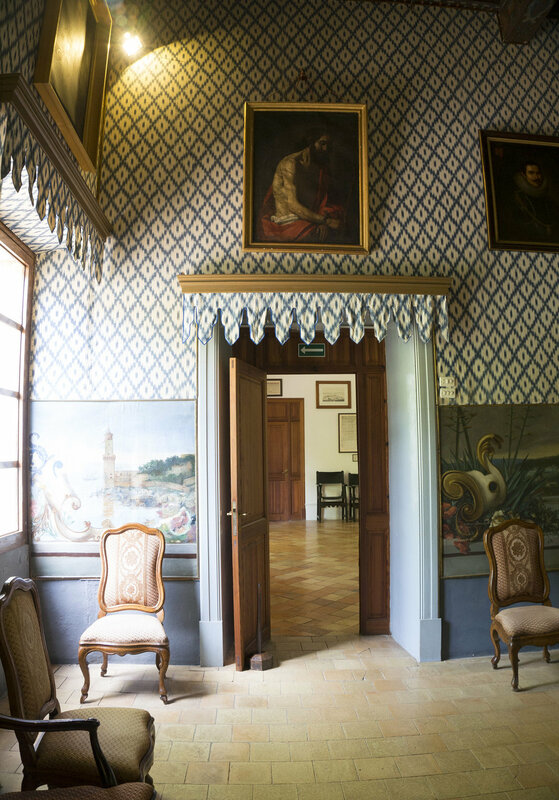 A baroque façade from the 18th century houses a front doorway nestled between two rose-tinted columns, made from local stone. Behind the large wooden doors lies a magnificent patio of pebble stones, at the center of which sits a romantic fountain. From here onwards, the view ahead reveals a mix of historical architectural periods, which have shaped Alfabia into what it is today. 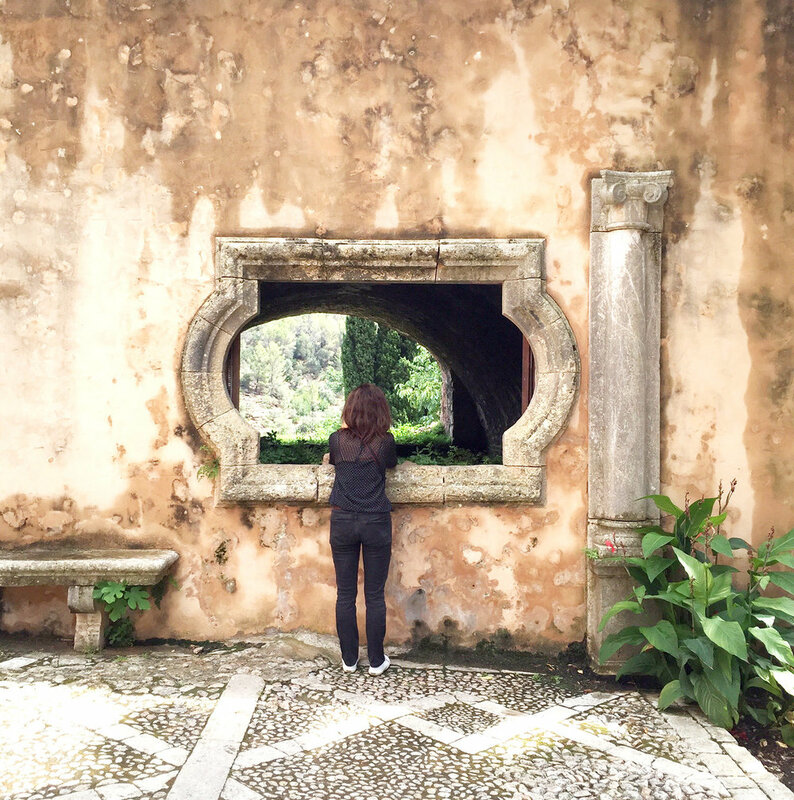 Layers of Arabic, Gothic, Renaissance, Baroque, Roman, Rococo and even English styles, have left traces on the walls and in the grounds of the magnificent 'finca' by Sierra Tramuntana. One of the most impressive features is the intelligently designed irrigation system. 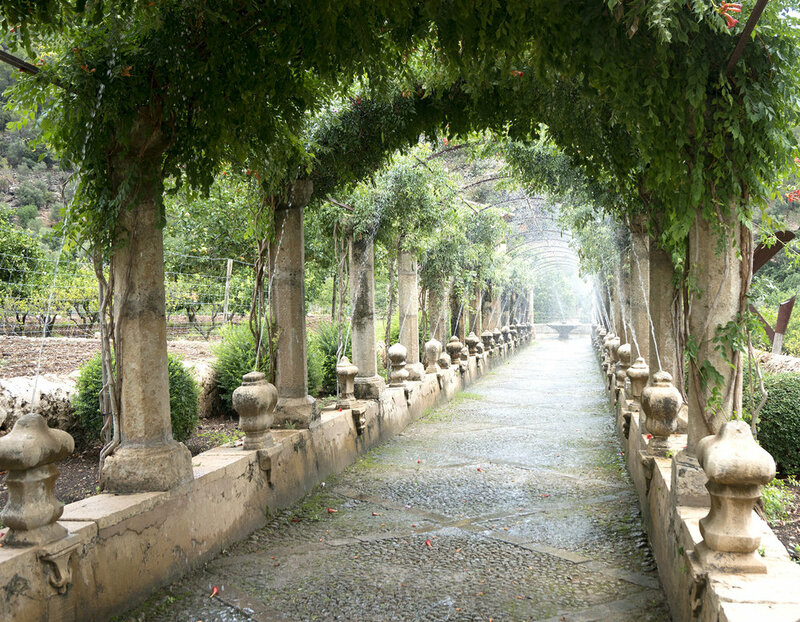 The water tanks or 'aljibes' capture rain to be used for agriculture, and for the long pergola. 24 stone spouts jet water across both sides of the pergola, creating a vibrant arch of sound and light, which captures the imagination. The stone blocks shaping every corner of Alfabia have literally embedded themselves into the green and mossy ground formations, due to the constant humidity of the gardens. Below the main house is a large pond, where ducks and frogs roam freely, under the shade of the autochthonous palm trees. Maintaining the rustic beauty of this estate is surely hard work, but one can only imagine the dedication of its current owners, as they keep the charm of this soulful place intact.